In a statement sent to The Texas Tribune after 5 p.m. Tuesday, Travis County District Attorney Margaret Moore said she'd had no contact from the attorneys for Dukes. "The offer to resolve this matter has expired and is no longer available," Moore said in a statement. "We will be ready for trial." As a part of the deal, Dukes would’ve had to also pay $3,500 in fines and restitution and agree to a drug and alcohol assessment. 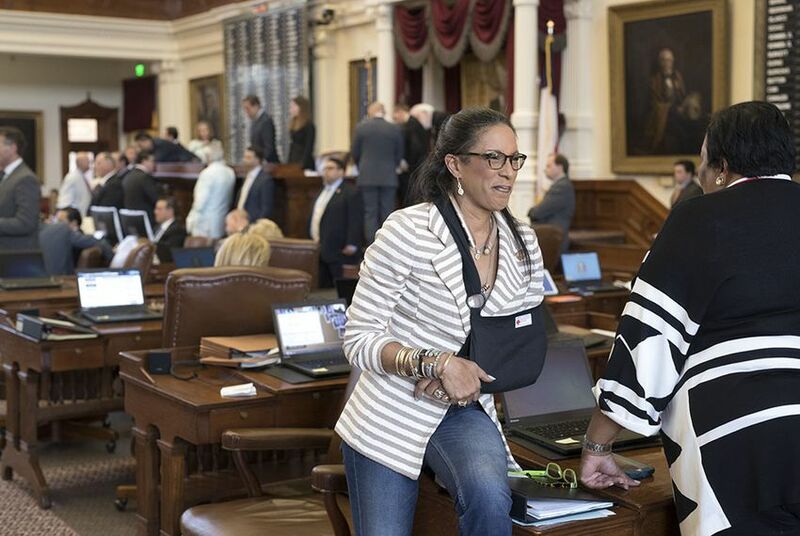 Dukes has previously denied charges that she had her legislative staff run personal errands and that she was compensated for days she did not work at the Texas Capitol. When the Tribune asked Dukes about the DA office's deal Tuesday morning, Dukes said, "I'm not talking about that right now." Dukes declining the deal means the district attorney’s office will move forward with the trial, which was set by Judge Brad Urrutia for Oct. 16. In January, a Travis County grand jury indicted Dukes on 13 counts of tampering with a governmental record, a felony punishable by up to two years in jail and a fine of up to $10,000. These charges are based on allegations that Dukes made false entries on travel vouchers to obtain money for expenses she was not entitled to. In addition, she was indicted on two charges of abuse of official capacity by a public servant, a misdemeanor punishable by up to a year in jail and a fine of up to $4,000. Those charges allege that Dukes used her legislative staff to work on the African American Community Heritage Festival and, in one instance, be a live-in nanny for her daughter. In June, the 12-term lawmaker pleaded not guilty to tampering with a governmental record and abuse of official capacity by a public servant. Dukes has faced criticism for missing votes and being absent from the House floor during the 85th Legislature's regular session earlier this year. She was not in attendance when the House voted on the final budget. Despite this, Dukes said in late June that it was a "strong possibility" she'd run for re-election in 2018. State Rep. René Oliveira, D-Brownsville, put out a statement Tuesday night indicating he was representing Dukes, writing that the 12-term representative rejected the Travis County DA's proposal because she "strongly reiterates her innocence," adding that the "inexplicable request that she undergo some drug assessment is absurd." He said neither Dukes nor her attorneys plan on commenting further.